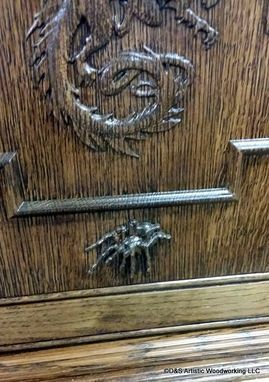 This cabinet was made for a Harry Potter fan who is placing it in a stone hut he built that is shaped like the one Hagrid lived in on the Hogwarts grounds! 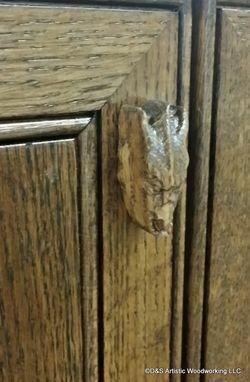 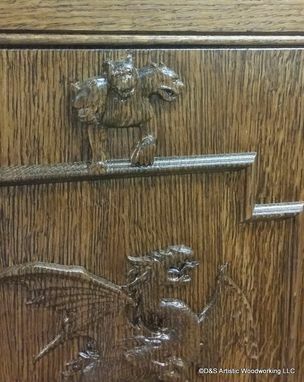 The cabinet features Hagrid's favorite pets, including Fluffy the 3-headed dog, Norbert the dragon and Aragorn the spider, carved into solid wood doors. The cabinet is made of white oak and stained to complement the customer's other furniture. 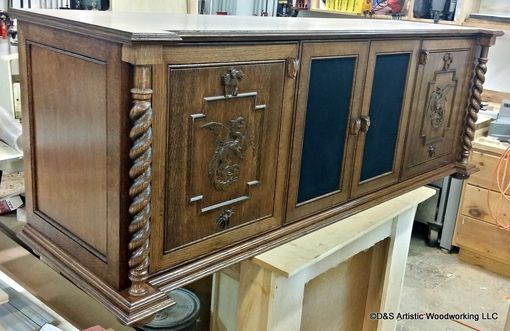 Inside there is room for media components and speakers on adjustable shelves, and the cabinet includes a cooling fan in the rightmost compartment. 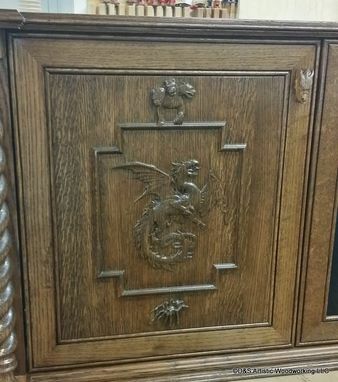 We can make this cabinet to meet your size specifications and can change any of of the carvings on the doors or the ends to your preference.